If you like this worksheet, I’d like to let you know that I’ve now created Lettering Workbooks that you might like: each of my lettering workbook is packed with 19 alphabet worksheets (lower and upper case) and 20 themed worksheets with traceable words and sayings that will help beginners, planners and crafters to quickly and easily gain confidence and get results! These worksheets can be used in your A5 planners, on A4/US Letter paper or with the Procreate App! 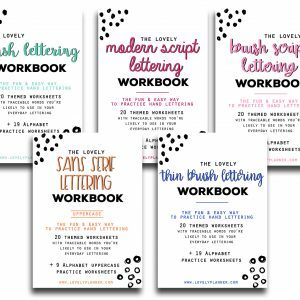 Have you been wanting to decorate your planners, bullet journals and traveler’s notebook with beautiful lettering? I do. That’s why, I’m starting a new article series on the blog, where I’ll share lettering practice worksheet to help me (and you) get better at lettering! Today, I’m happy to share with you the 1st printable worksheet of this series: Days of the Week – lettering practice worksheet. Those who have already subscribed to the newsletter may remember that I’ve been wanting to get better at lettering for some time. 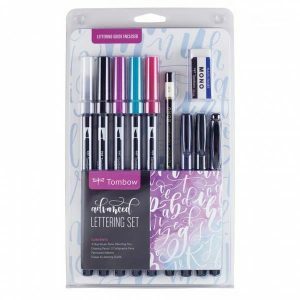 If you do too, make sure to check these Tombow lettering sets that could help you get started: Advanced and Beginner sets. In my learning process, I realized that for lettering (as for most things in life) practice definitely makes progress. 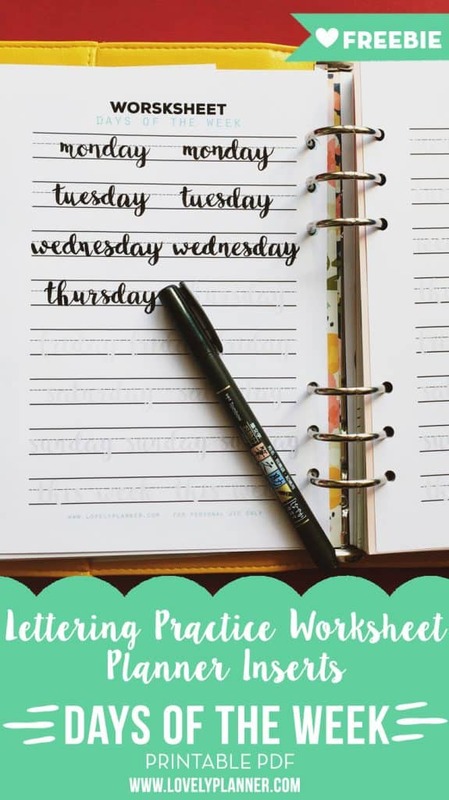 I also quickly realized that lettering practice worksheets are a great help for beginners. The good news about that is that, thanks to Pinterest and internet in general, you can find a good number of ressources and free lettering practice sheets. Quite often, these practice sheets are composed of letters A through Z, and even though it’s helpful, when you’re beginning to letter it can sometimes get confusing to figure out how to make the letters flow together and write your own words. 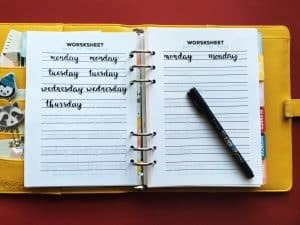 Or maybe you don’t want to spend too long to learn to letter and just want to get a few accent words to look good in your planners and bullet journal. Getting quick results is always encouraging! 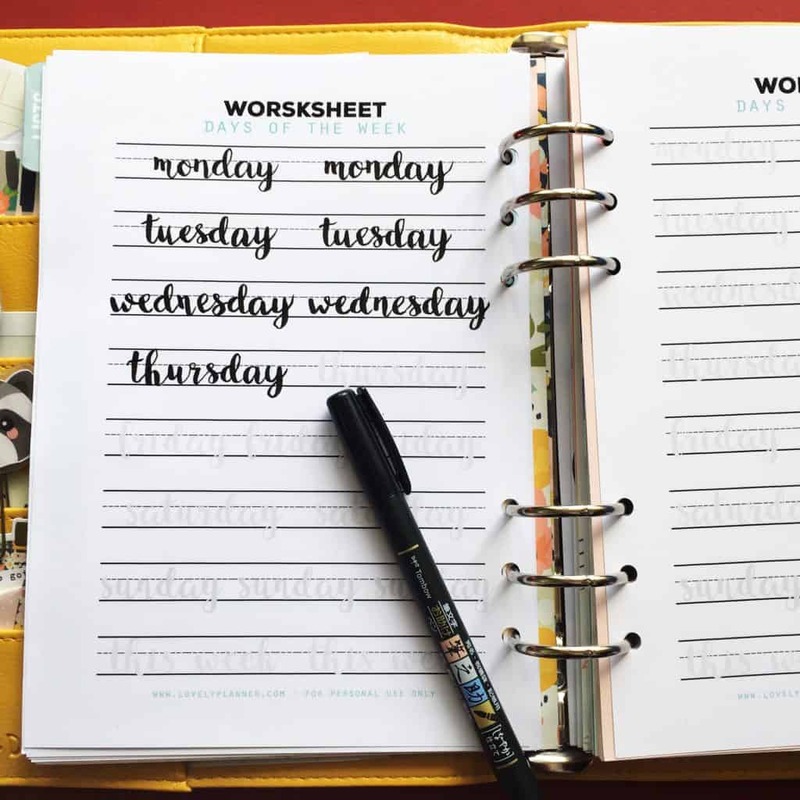 That’s why I’ve decided to create lettering practice sheets for myself with actual words that I’m likely to use often in my planner, traveler’s notebook or bullet journal. 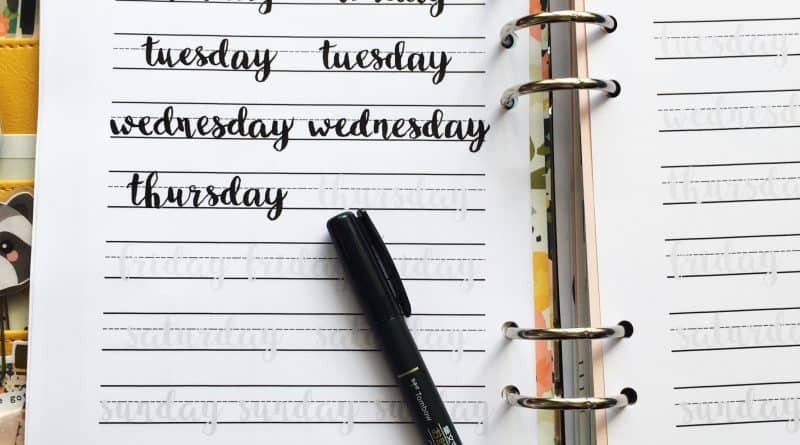 To start this “Planner lettering” serie, here’s a practice sheet with the days of the week. There will be more to come so please let me know if you’re interested in this topic, if there’s specific things you’d like me to create worksheets for, etc. Depending on the printing settings you’ll select, you can get A5/Half US letter inserts or get a full page (A4 of US Letter) worksheet. To get A5 inserts (or half US letter), simply select ” print 2 pages per sheet” in your printing settings. 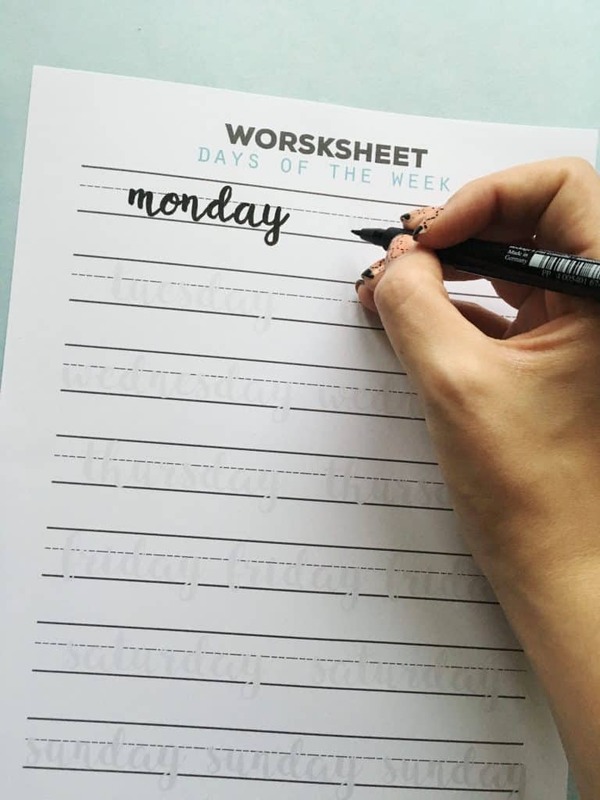 The A5 format (or half US letter) is perfect if you want to insert this worksheet in your A5 planners for future reference (that’s what I did as you can see on the pictures). 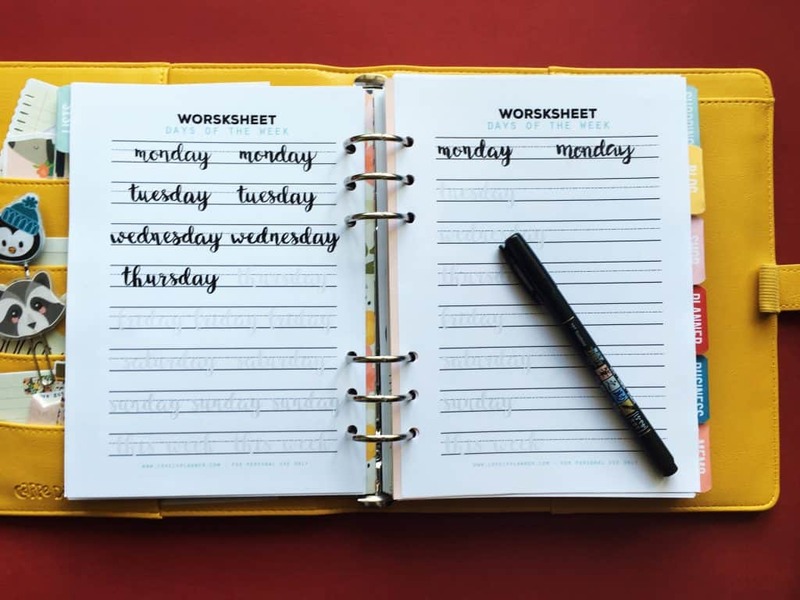 The A5 size is a good dimension to practice because the size of the words is about the same size as your handwriting in your notebooks, journals and planners would be. 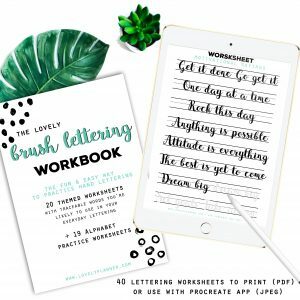 The more you’ll practice and the quicker you’ll be able to letter confidently with consistent results and to develop you own lettering style. If you want to use this practice sheet over and over again you can use tracing paper, place it on top of the printed worksheet, letter and repeat with a new piece of tracing paper again and again. This is also supposed to help your brush pen last longer without fraying. Alternatively, you can of course just print it as much as you want. thanks! 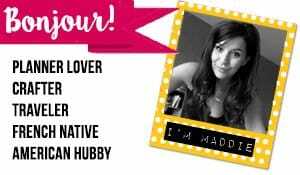 this is so helpful for a newbie like me!